Chances are good that you've never seen a barber shop like mine. It's called a Barber Stop. It's the latest innovation in the barbering industry. In fact, some industry experts call the Barber Stop the "most significant innovation in the barbering industry since the electric hair clipper. It's a fully functional, self-sufficient one-chair barber shop. There are only two such units in the mid-west. Five years from now, that WILL NOT be the case. My barber shop is made from the same material used to make NASCAR windshields. It's a clear, round shop with an 8' diameter footprint. Its red and blue stripes make it look like a big barber pole. My customers LOVE to get their haircuts (and their pictures taken) sitting inside. It's relaxing. It's private. It's personal. It's cool! It's very cool. I think you'll like it, too. The Barber Stop was invented by a man that lost his traditional store in a huge flood. Have you heard the old saying, "Necessity is the mother of invention?" Barber Stop is one of those kinds of inventions. Interested in Cutting Hair or Owning a Shop Like Mine? 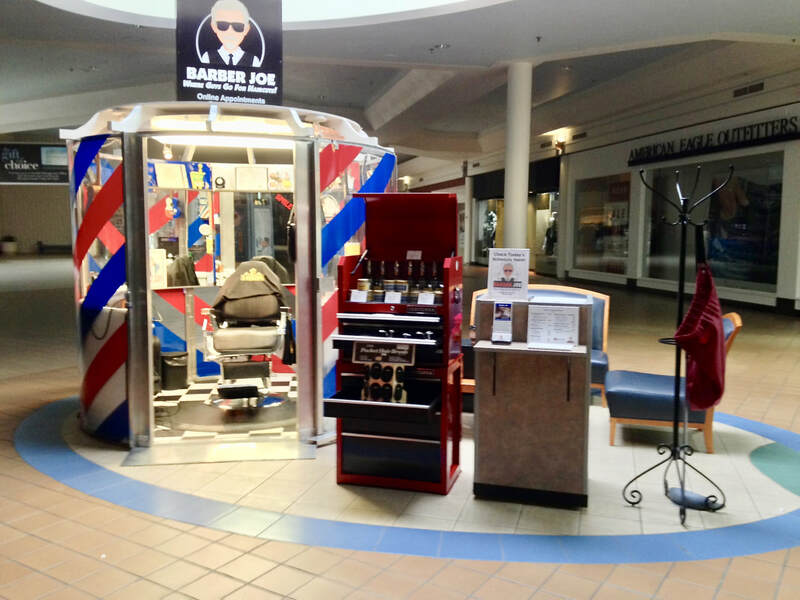 I'm on a mission to help raise the economic level of the entire barber industry by finding ways to put barbers and barber shops in high traffic locations. Call me (Joe Sexton) at (608) 397-0155.